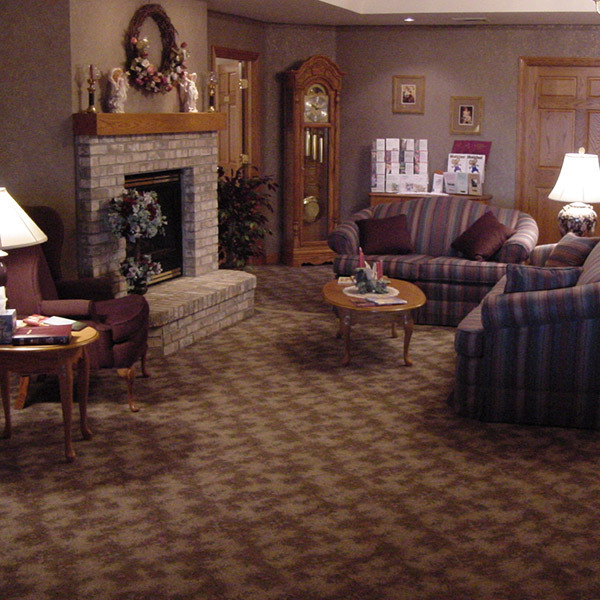 The lobby welcomes you as you enter Mueller Funeral Home. There, you will find a sitting area with a fireplace that many use for a moment of quiet reflection, and a selection of grief material for those who may need it. 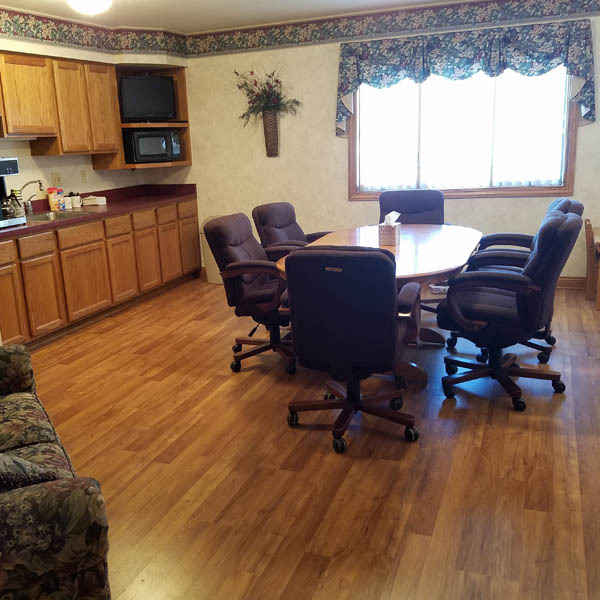 A lounge is available for families to use where some families choose to bring in food to take a break during the time of visitation. We provide a tv/dvd complete with children's movies for your little ones to enjoy. The lounge is also utilized to meet with families to make funeral arrangements. Our spacious chapel has seating for 200 people with recording capabilities to capture services for family members unable to attend. 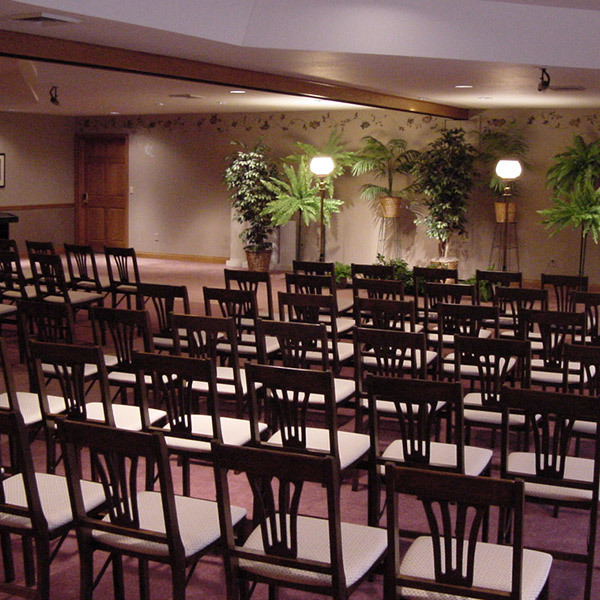 We also offer a large screen tv/dvd for viewing memory tributes during the visitation time, along with a keyboard for special music for the service, and a variety of pre-recorded songs to play over the sound system as well.